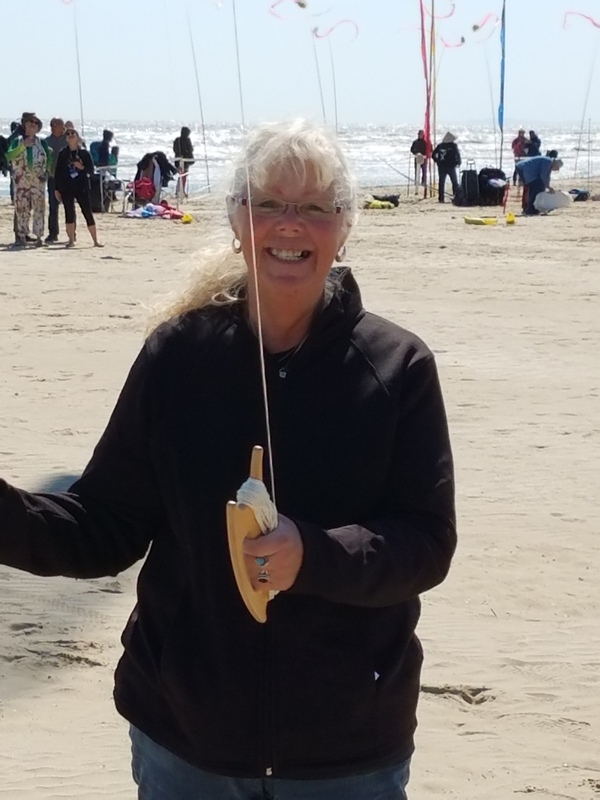 Follow along as we feature members of the American Kitefliers Association during National Kite Month. 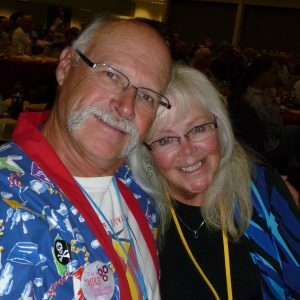 Today we have Deb Lenzen. 1. Tell us about yourself – Deb Lenzen, Prescott, AZ. 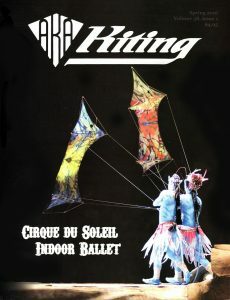 I compete in kitemakers competitions. 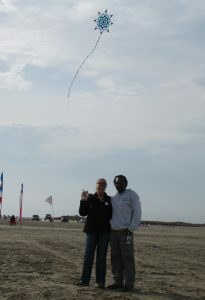 I am the third woman in the history of AKAGN’s to earn the title of Grand Champion Kite maker. 2. Why did you join the AKA? To connect with other kiters and promote kiting. 3. 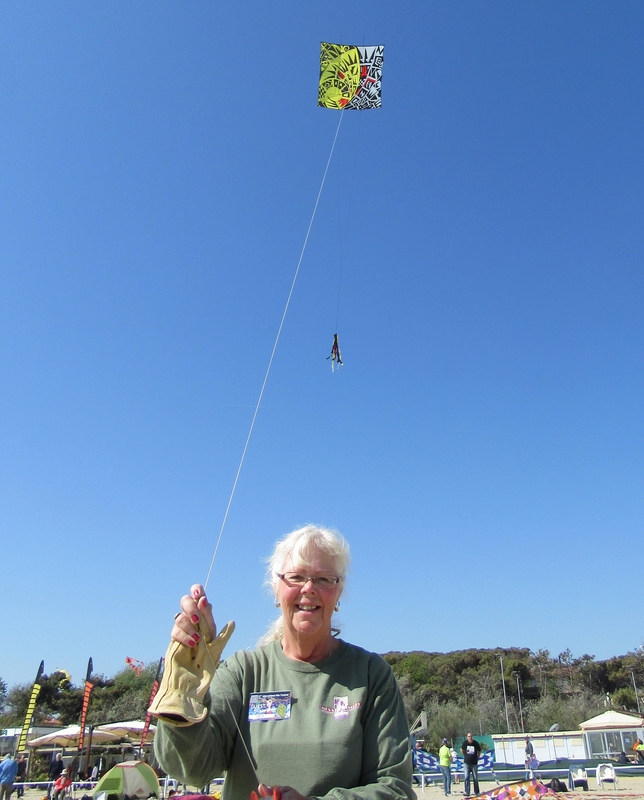 What is your favorite kite to fly? The one I just finished making. 4. Where is your favorite place to fly? Sandy beach in the sunshine. 5. If you could fly with anyone, who would it be? Michelle Obama. My ʺPrayer Featherʺ SLK. 7. 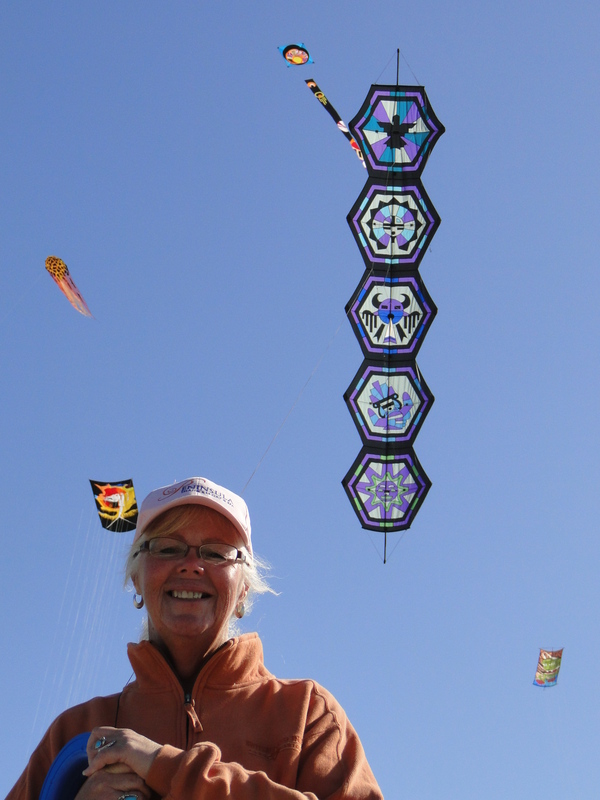 What is one thing you wish people knew about kite flying? It can change your life in the most wonderfully positive way. 8. 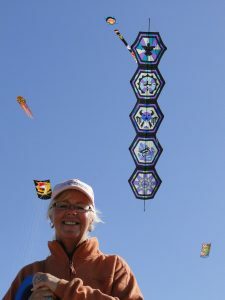 What is the best color combination for a kite? Purple, teal, gray, black and white. 9. You are the ruler of the kite field for the day, what is your first decree? Just laugh and have fun. 10. What is one funny trait about you that most people do not know? I am a sucker for small purple stuffed animals. 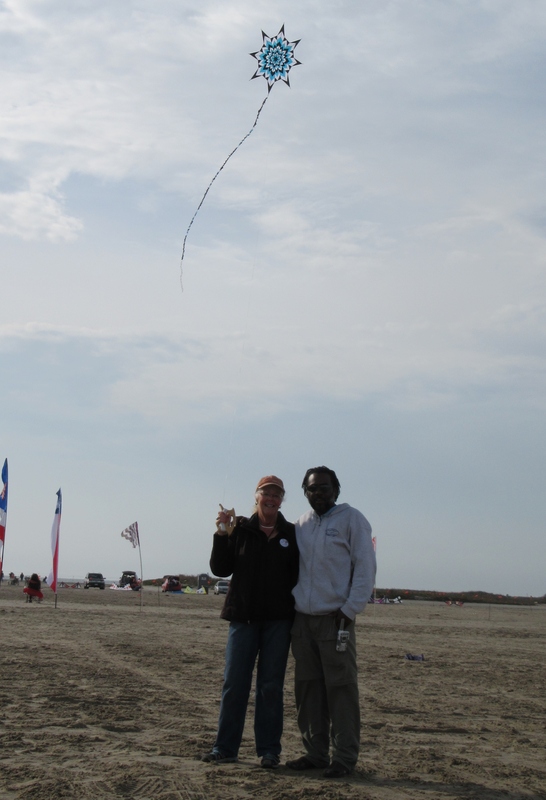 11. Who would you say is your greatest influence in the kite world? Mike Shaw. He taught me how to sew my first kite. 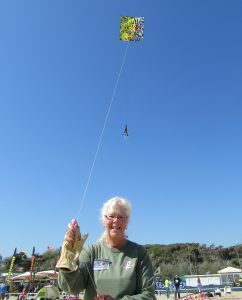 And kites have taken me around the world.